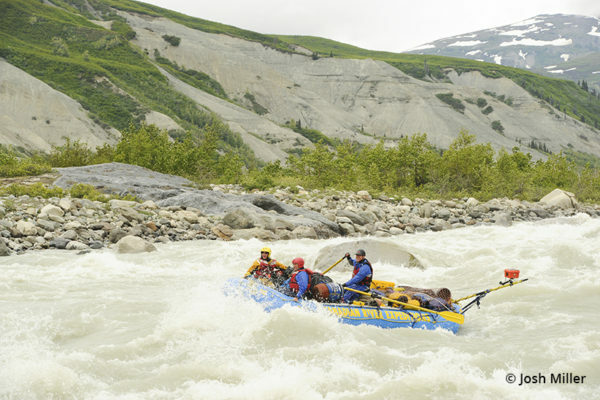 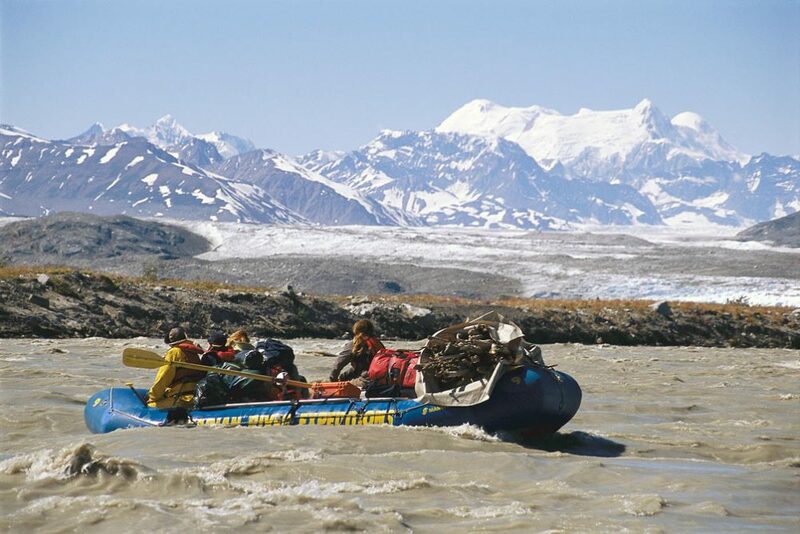 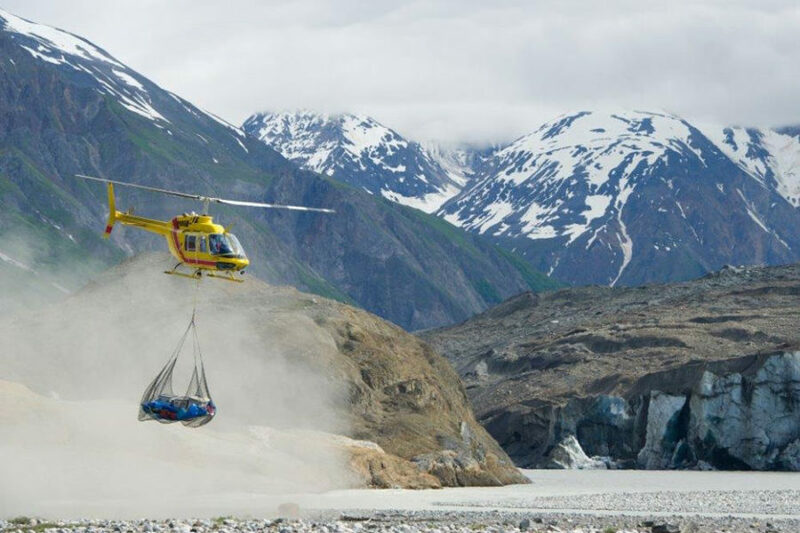 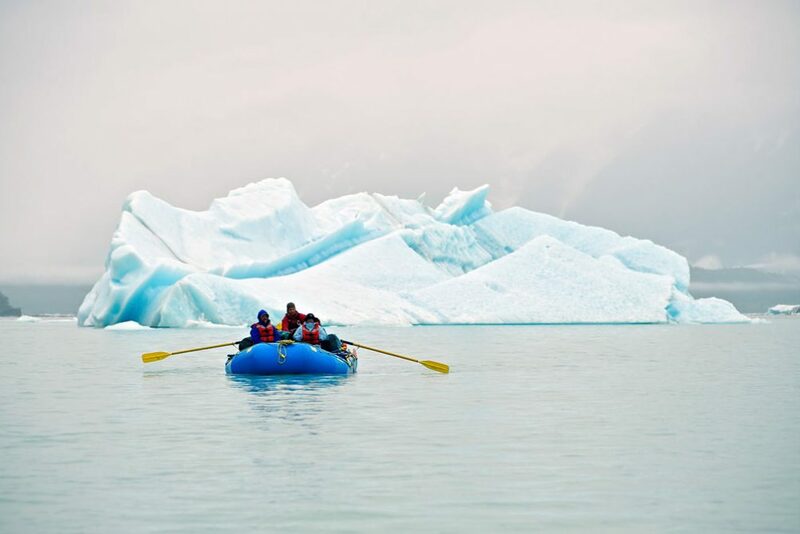 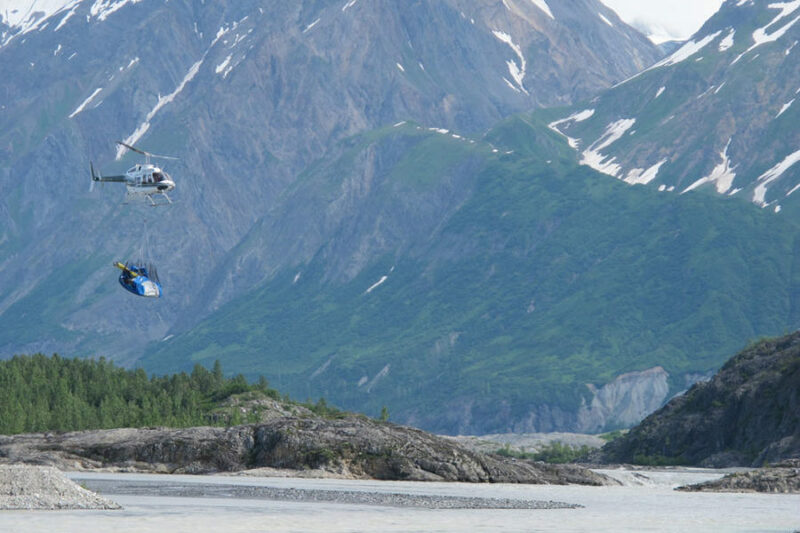 Join us on an incredible rafting journey down the Alsek River, voted by guides as the wildest river in North America. 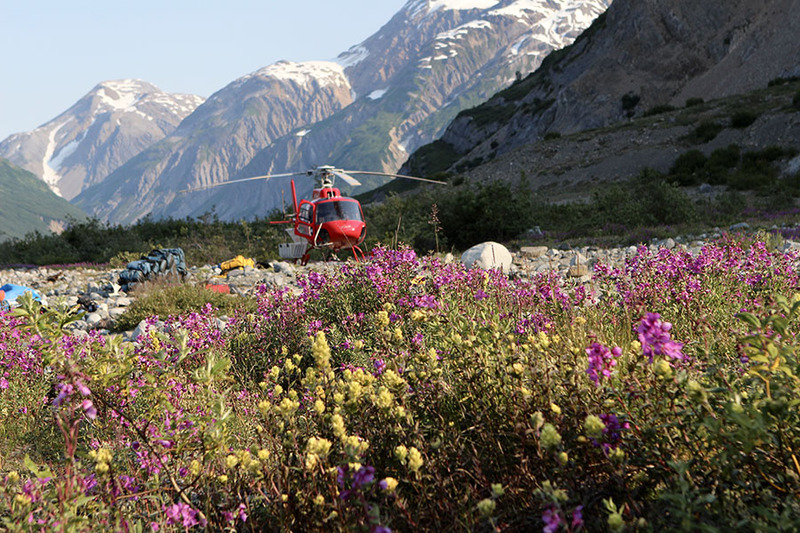 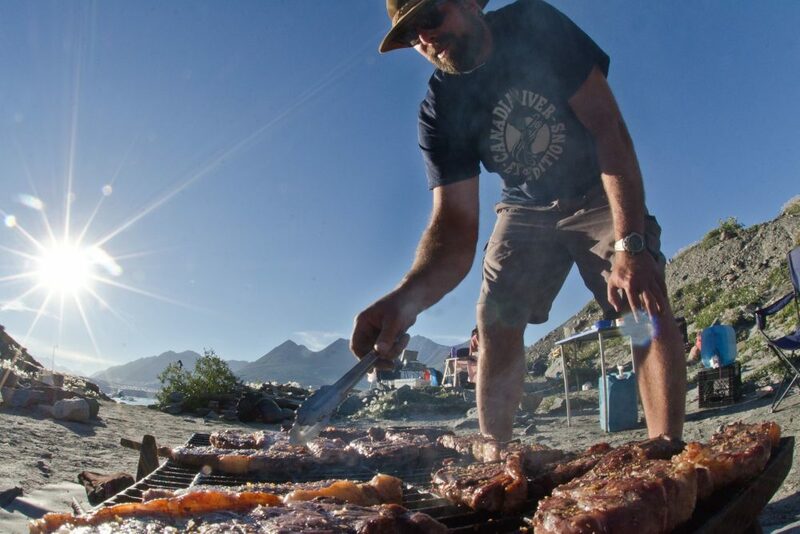 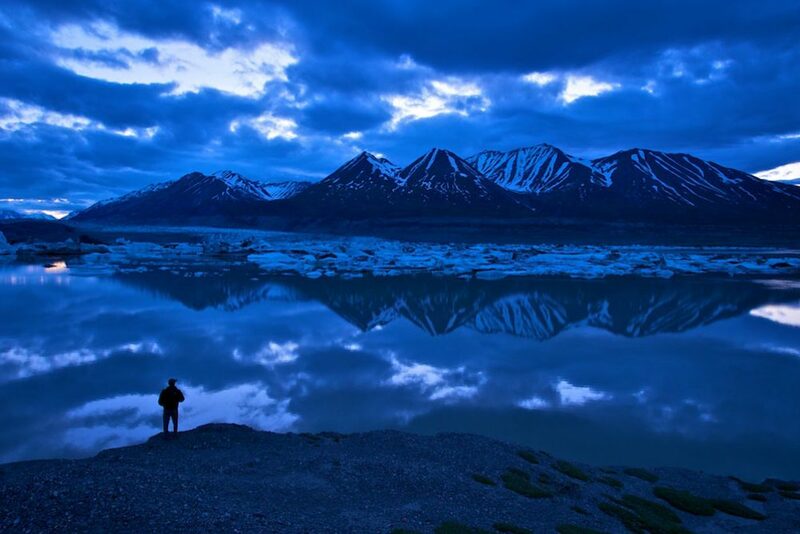 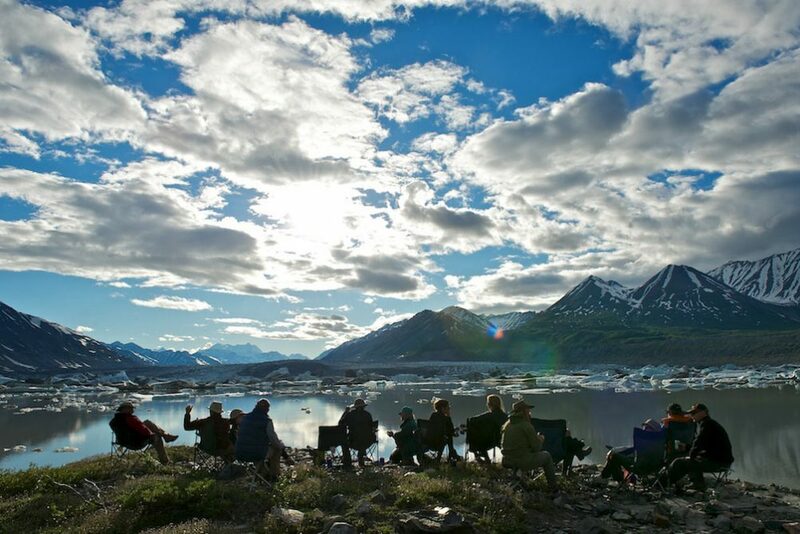 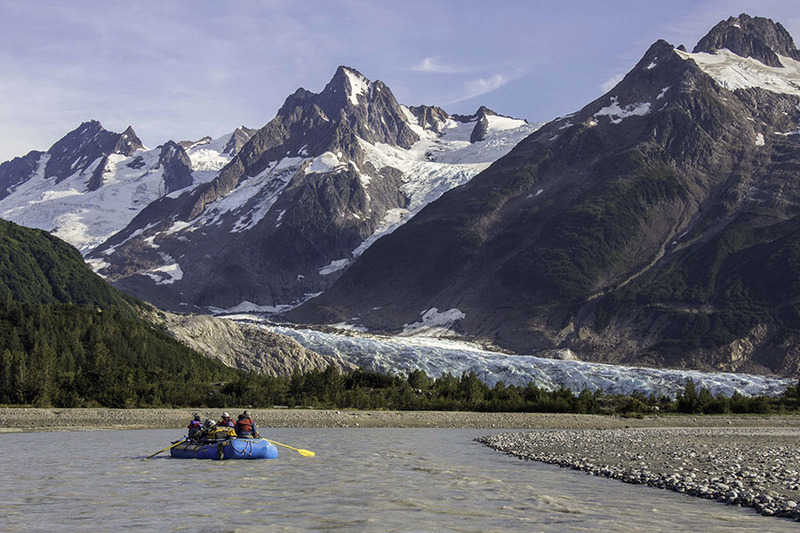 The Alsek is renowned for large rapids, dramatic mountain valleys and glaciers, and is a true wilderness treasure. 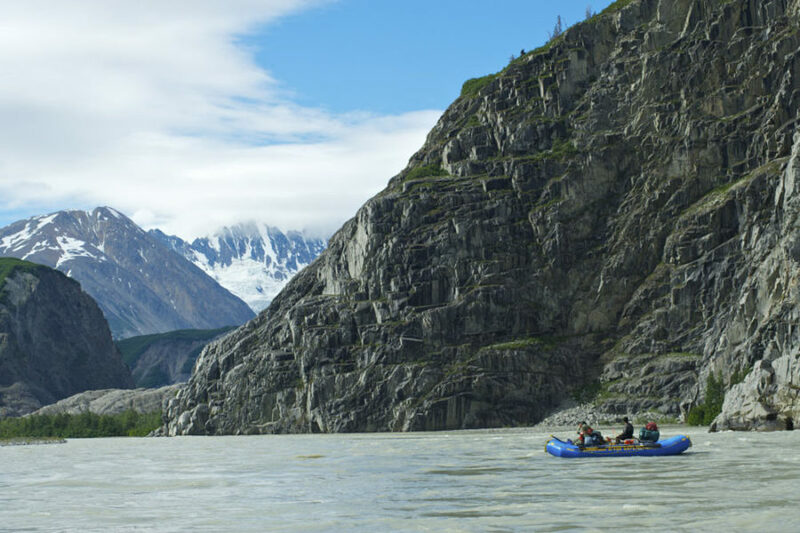 The Alsek River has it’s origins only a short distance from the Tatshenshini but the difference between the two rivers is dramatic. 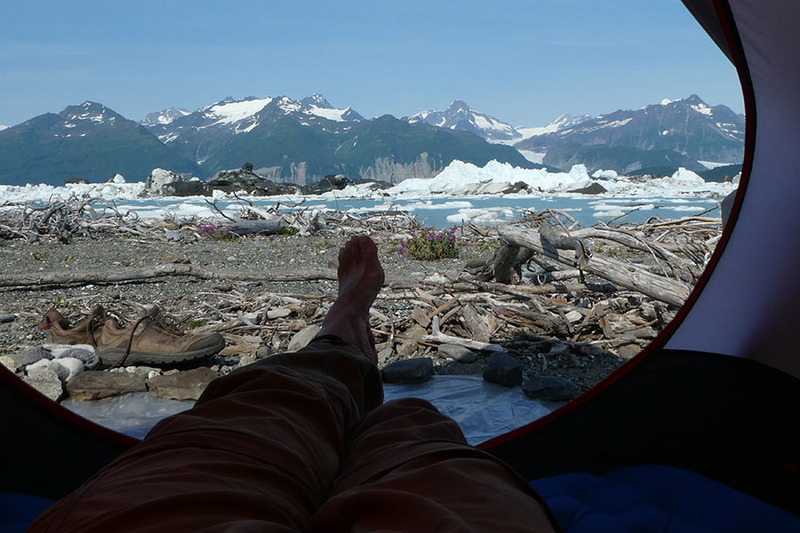 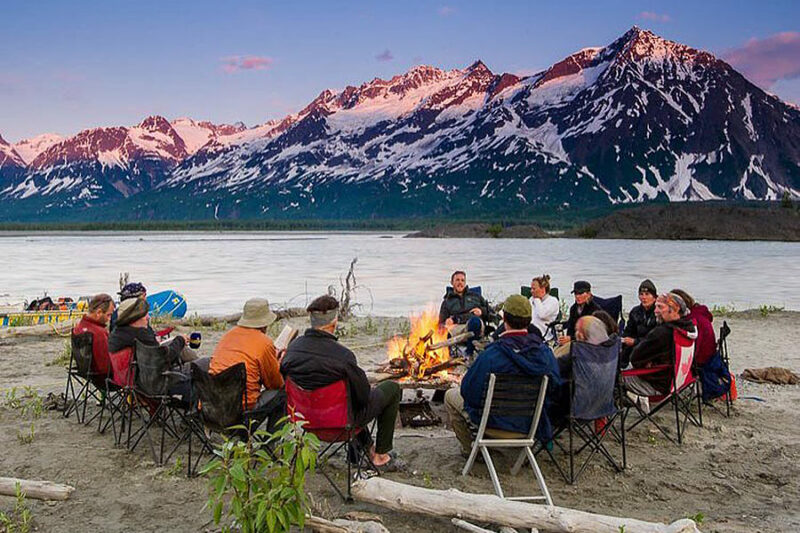 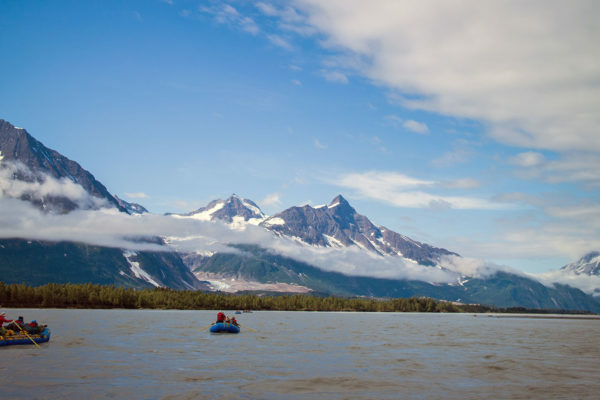 Starting in the rain shadow of some of North America’s tallest peaks the Alsek River flows through two glacial lakes with spectacular hiking opportunities. 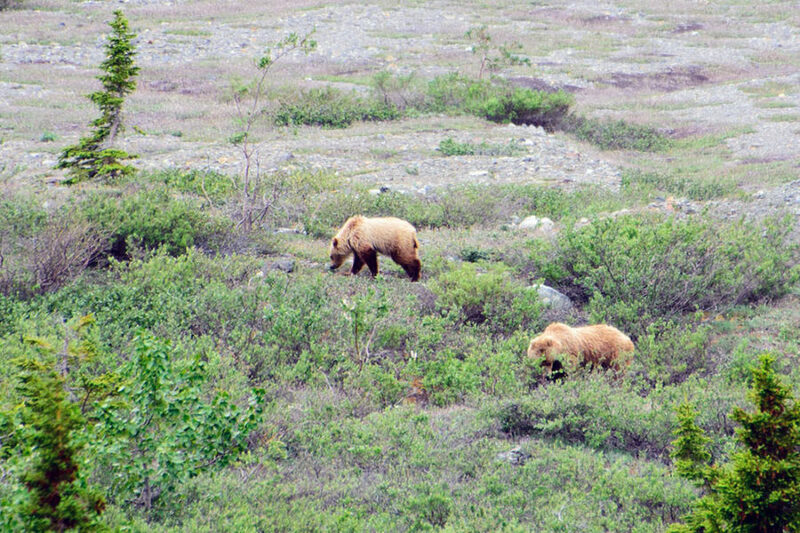 Known for grizzly bears and wildflowers it is a must do for any naturalist. 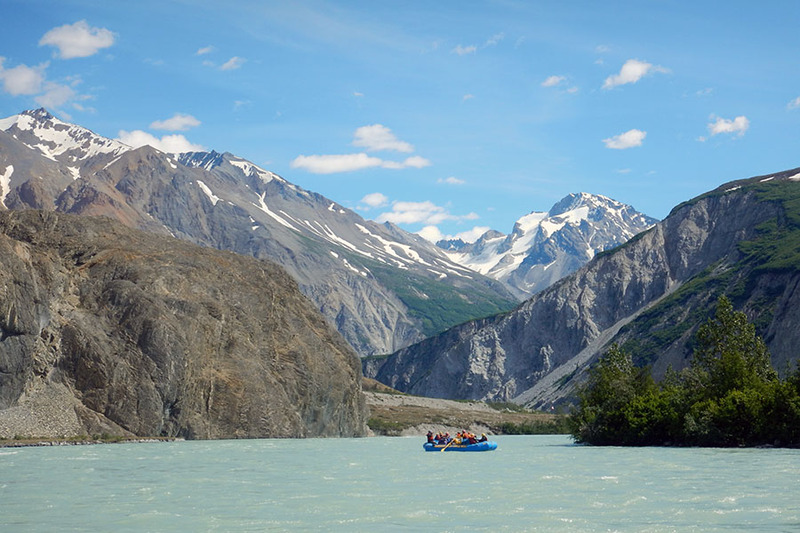 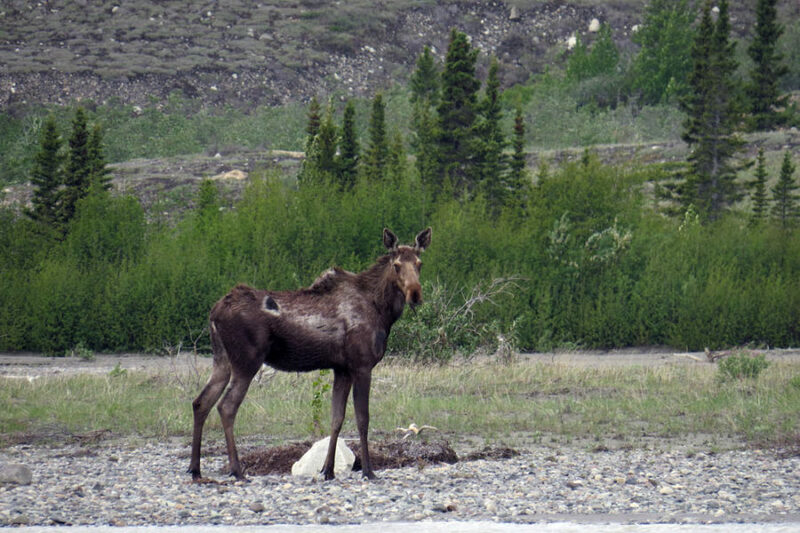 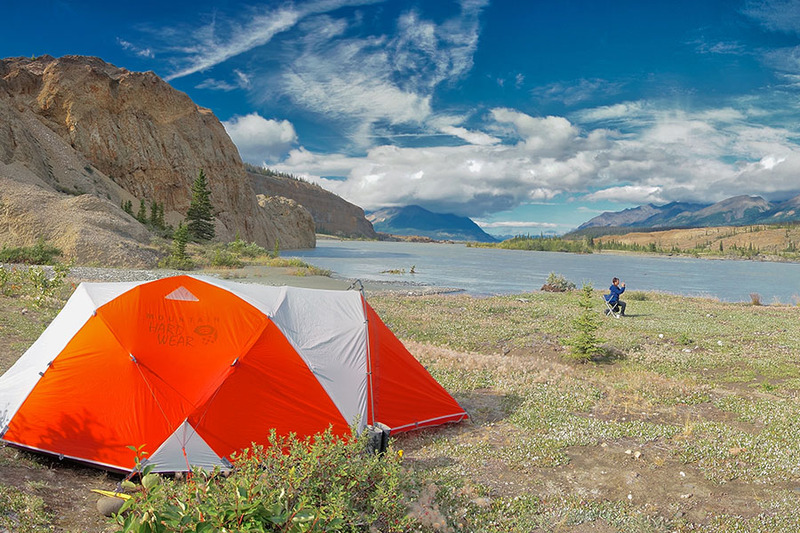 The Alsek begins at the confluence of the Dezadeash and Kaskawulsh rivers and flows through a broad valley within Kluane National Park and Reserve, which leads to iceberg dotted Lowell Lake. 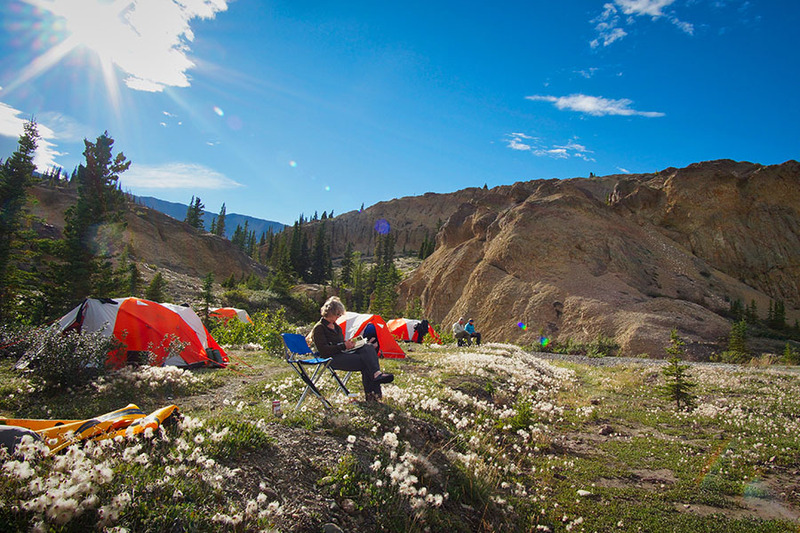 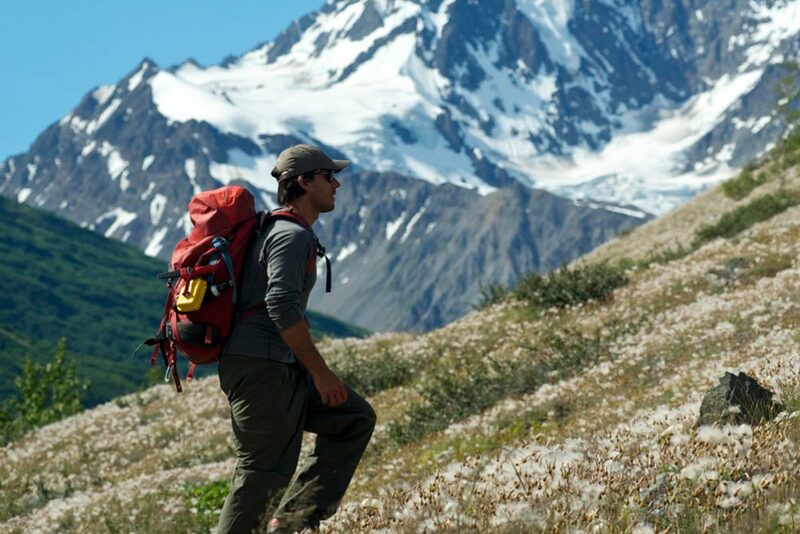 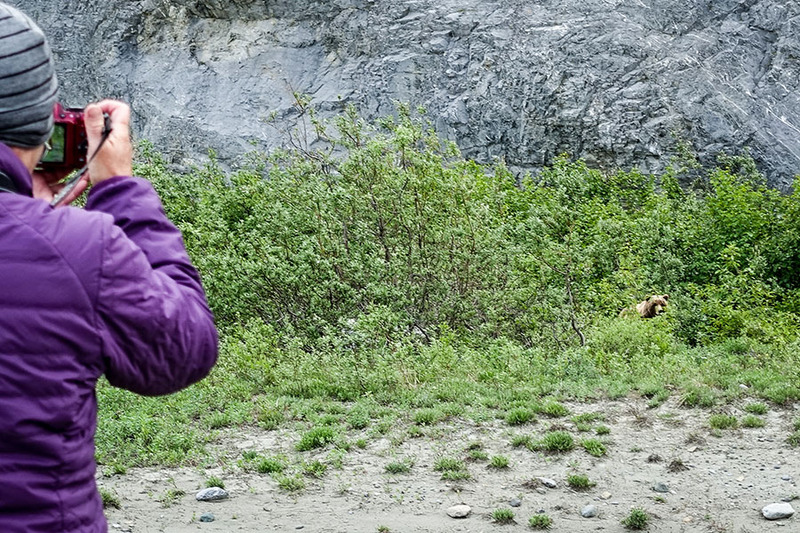 A hike up nearby Goatherd Mountain offers panoramic views of the ice fields, the tallest peaks of the St. Elias Range and abundant wildlife, including Mountain goats and Dall sheep. 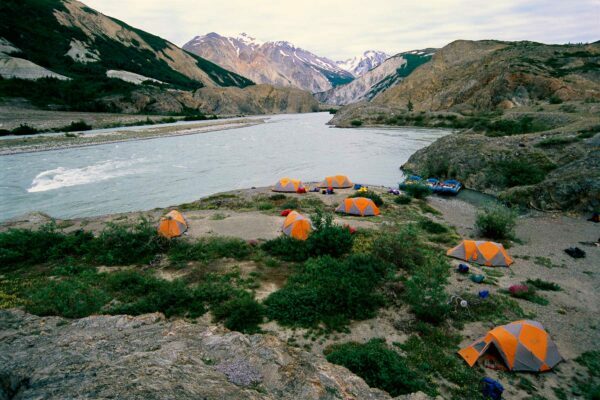 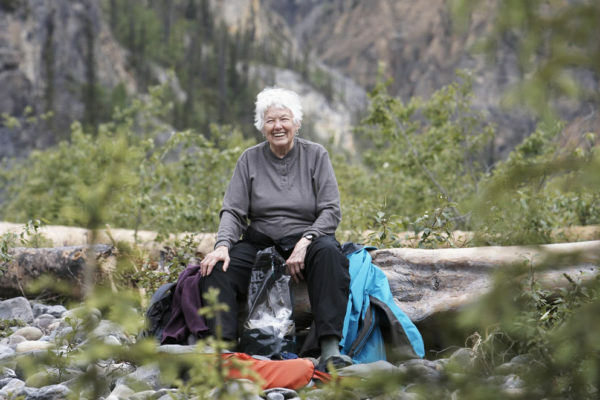 Past the Vern Ritchie and Battle Glaciers, is the confluence of the Tatshenshini and Alsek Rivers. 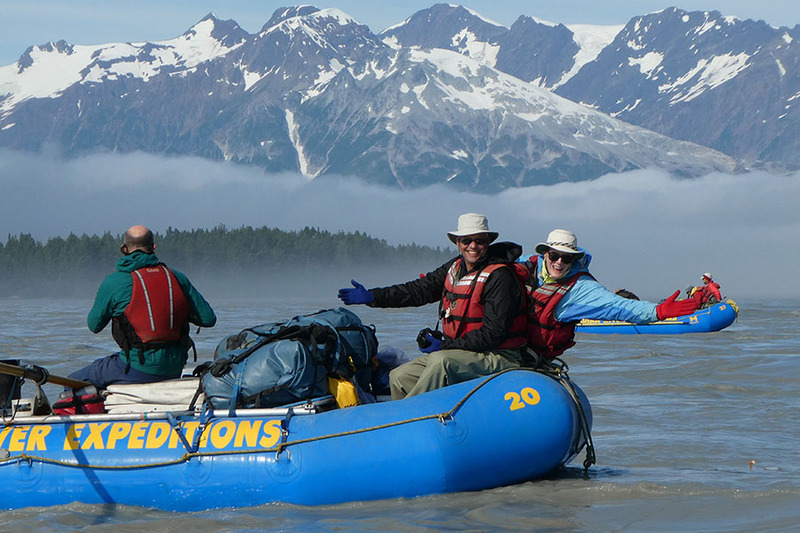 Together, these two historic rivers swell to stretch nearly three miles wide, surging through braided channels that crisscross the valley. 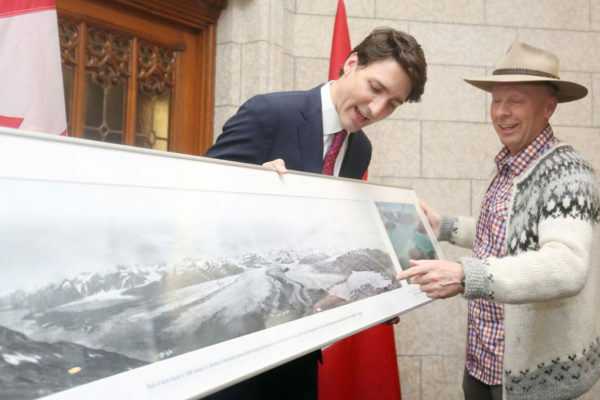 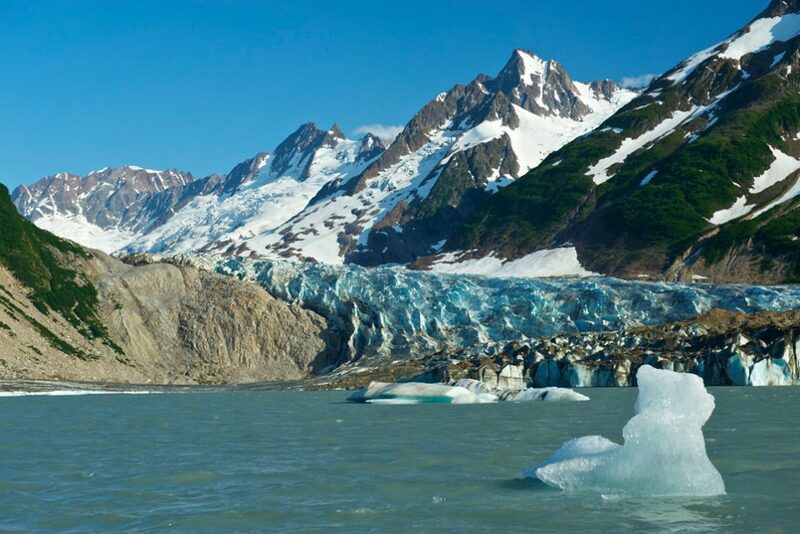 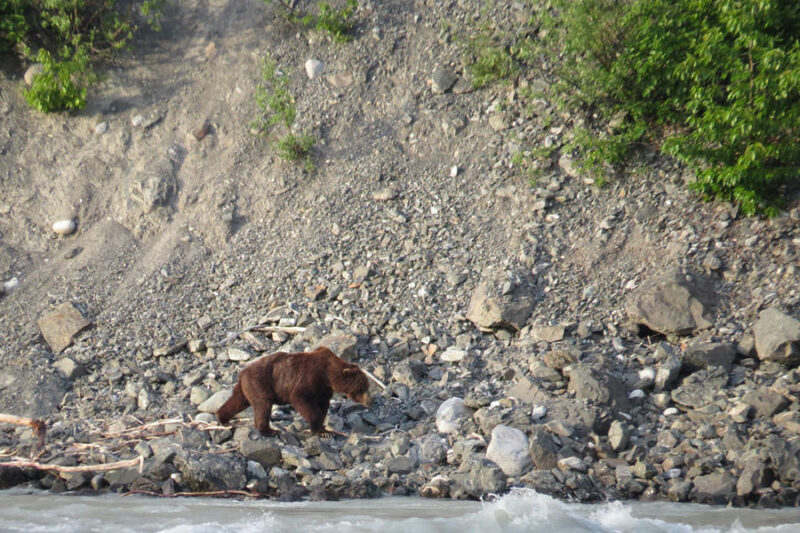 The united rivers bear the name Alsek, which soon enters Alaska and Glacier Bay National Park. 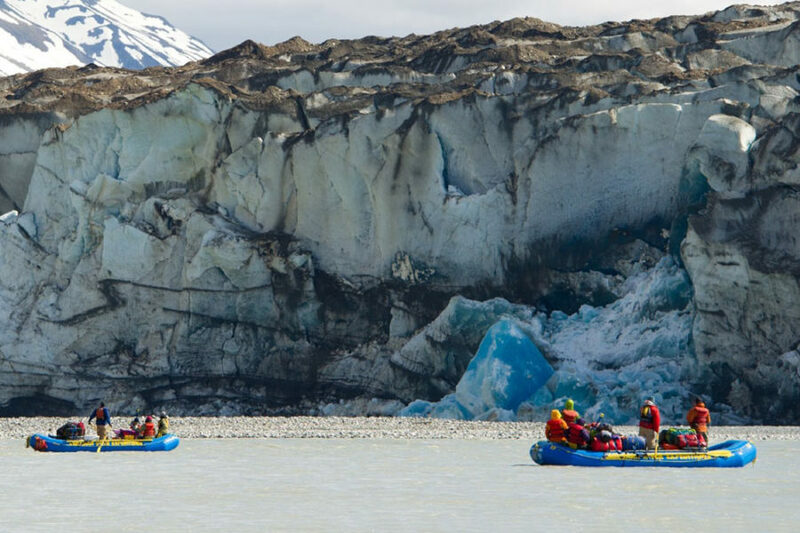 Before reaching the Pacific Ocean via the Gulf of Alaska, the Alsek boasts a giant bend that can be seen from space with a circle of by peaks that form a stunning amphitheatre of glacial ice and rock, including the crystal blue hues of Walker Glacier. 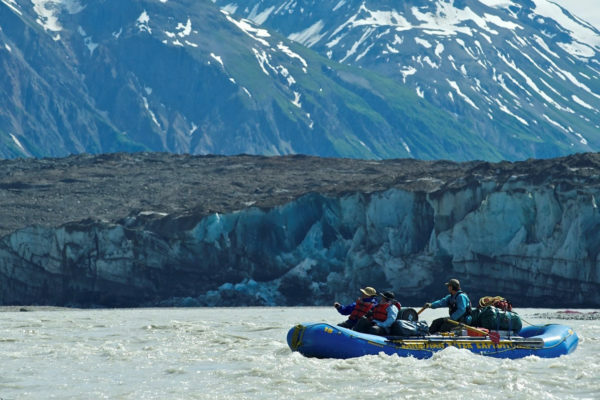 Further downstream are more than 20 glaciers and the spot where the Alsek and Grand Plateau Glaciers come together to form an eight-mile-wide face of ice. 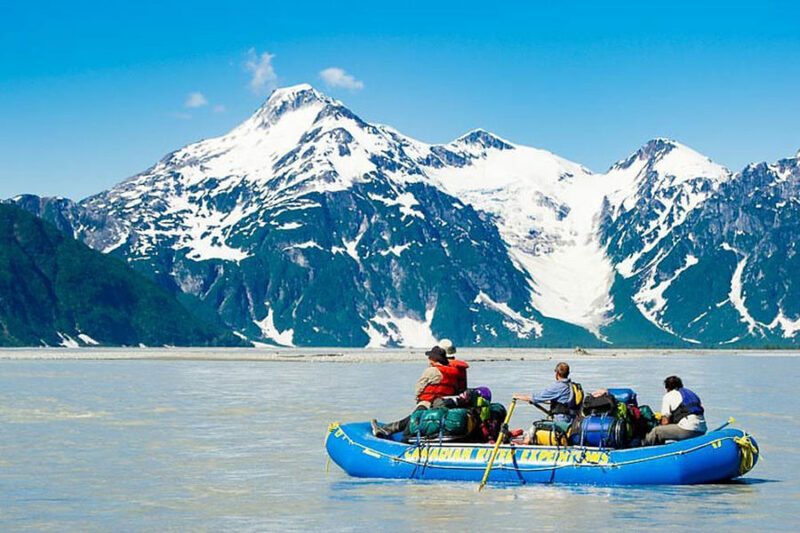 The Alsek is distinctive due to the spectacular historic and geological events which took place in its valley two centuries ago, and as recently as 1958. 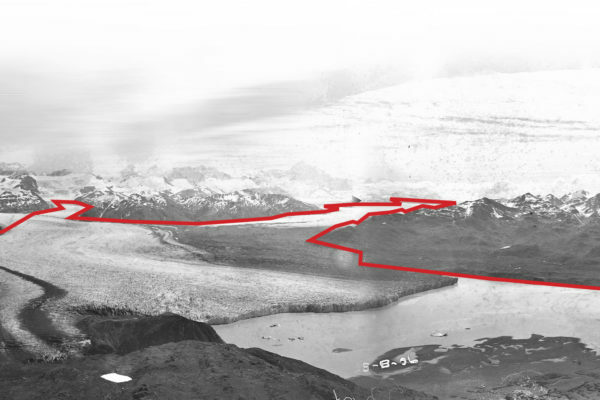 In the late half of the 1800’s the Alsek was entirely blocked by a sudden surge of the Lowell glacier. 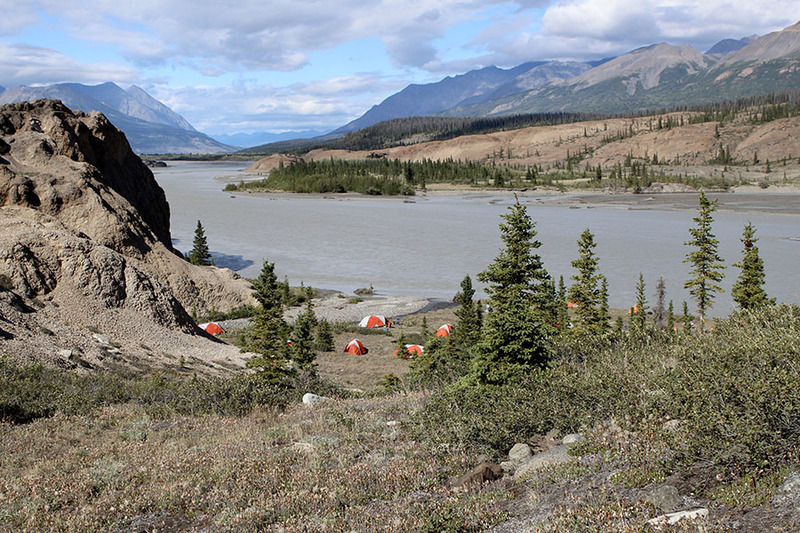 The resulting lake backed up over an area of hundreds of square miles, even flooding the current site of Haines Junction. 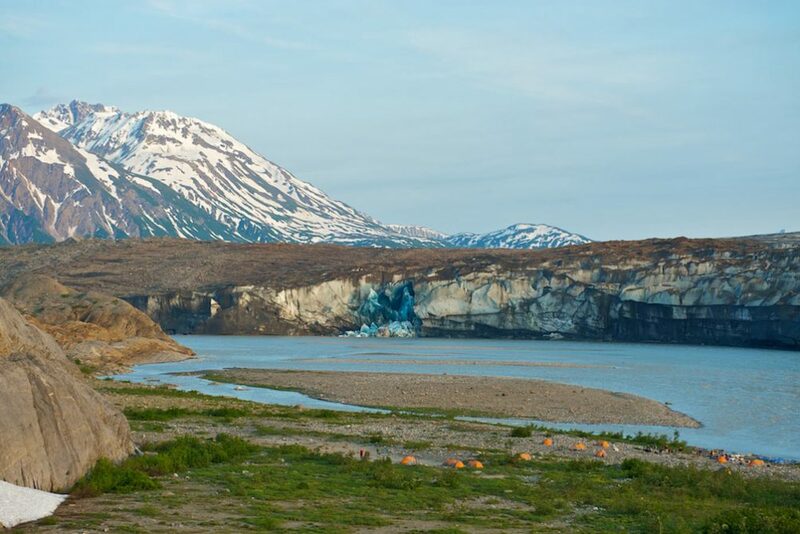 The Alsek’s ice dam remained for a few years until it was finally broached by the river in a cataclysmic event in which the valley below was flushed by a flow of gargantuan proportion- equivalent to the Amazon. 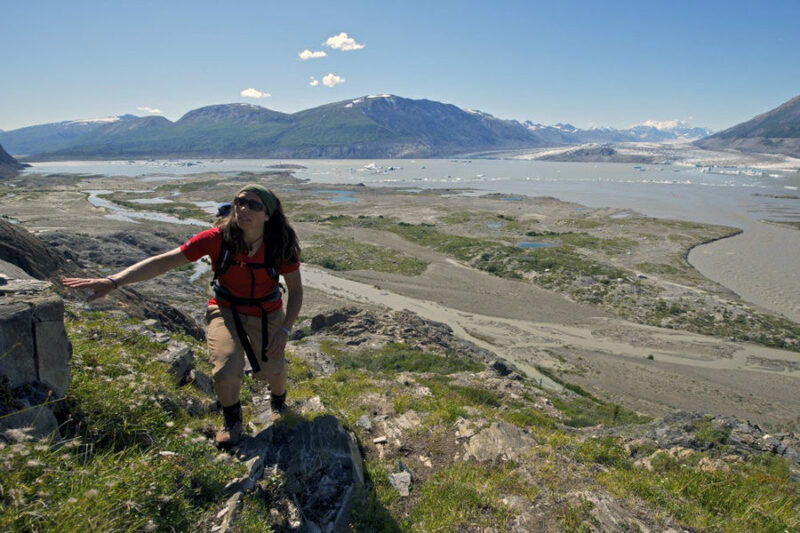 First Nations history tells of villages that were decimated by the Alsek’s floodwaters, greater than the amazon. 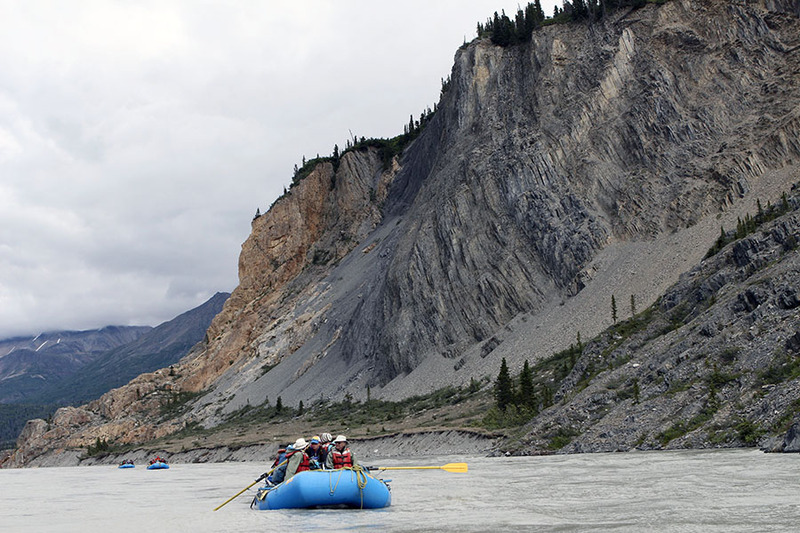 When we travel the river today we see scarring and other effluvial remains that tell the story of this monstrous hydrological event. 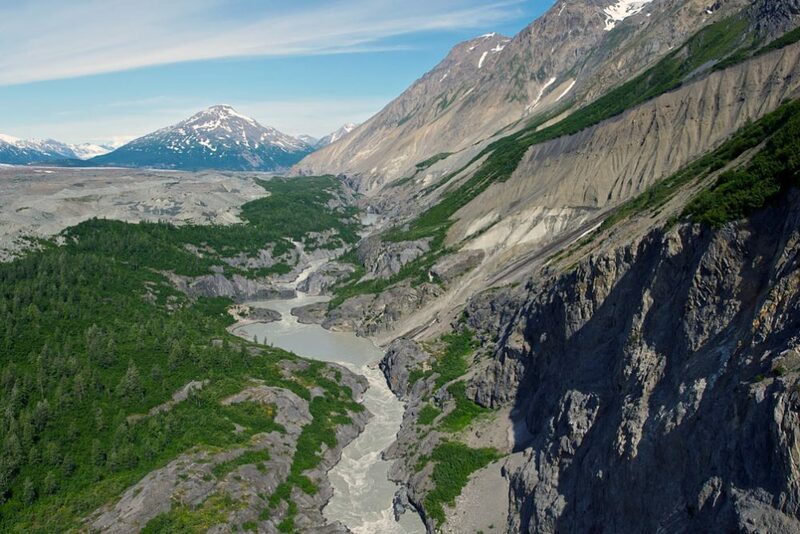 In 1958, a magnitude 7.7 earthquake transformed the region again, causing the Doame and East Alsek rivers to converge. 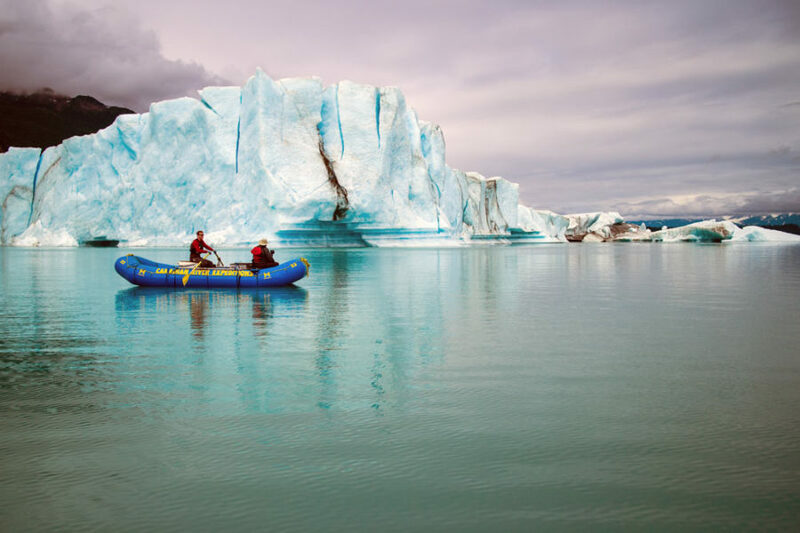 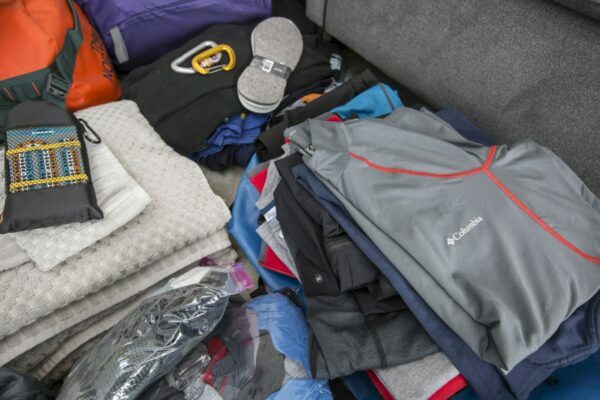 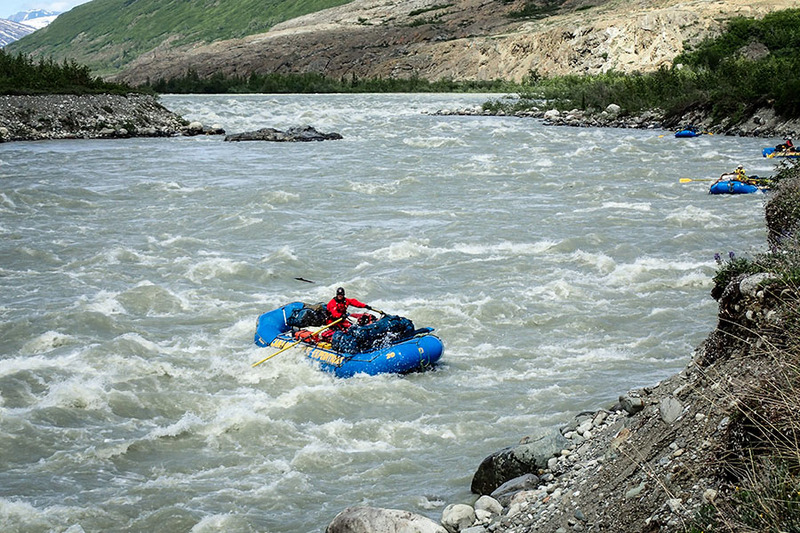 Guides Josh Miller and Jennifer Homan explore the photo opportunities of rafting the Alsek River.